So I can’t be in Italy this summer…it’s a heartbreak, but unresolvable. So each morning, when I start the computer, the first site I visit is the webcam at the Aminta Hotel in Sorrento. Webcams abound, but none is as clear and sweet as this site. 3 webcams offer a view of the pool with Sorrento calling in the background. Another is a sweeping panorama of Vesuvius in the the distance and the last is a westward view out to the Med. 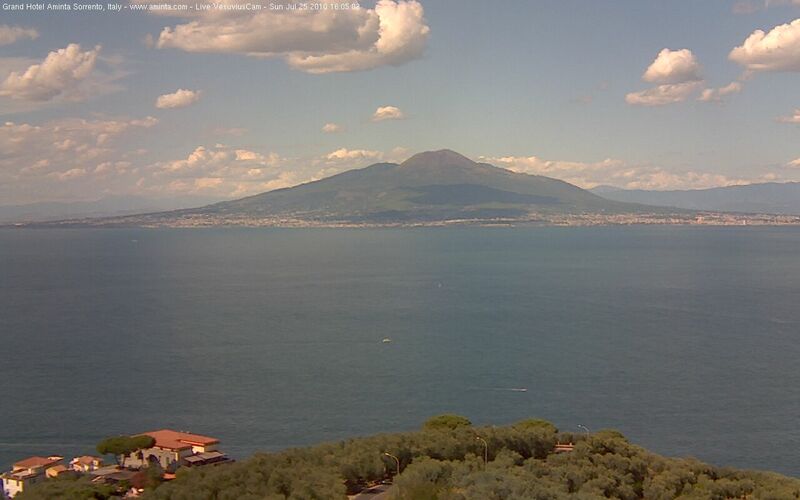 So the clouds are high and puffy over Vesuvius and the pool at the Aminta is overflowing with people lounging in the 90 degree heat…but as I check in every 1/2 hour or so, the clouds darken and the rain begins. 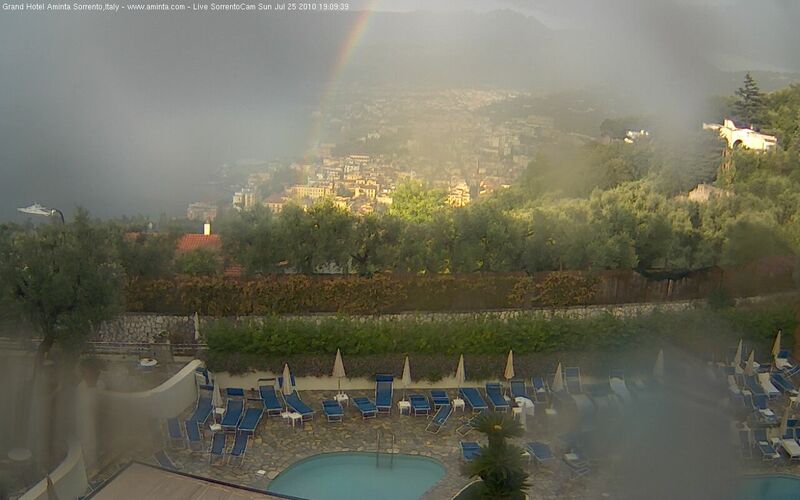 The pool is empty, but check out that rainbow over Sorrento! I will continue to follow the end of the day in Italy as the rain ends and the city starts the evening…it’s after 10am here, so I’m slow to start my day as I long to be there for late afternoon apertivi. Found your internet site via live search the other day and absolutely enjoy it. Continue the fantastic work.